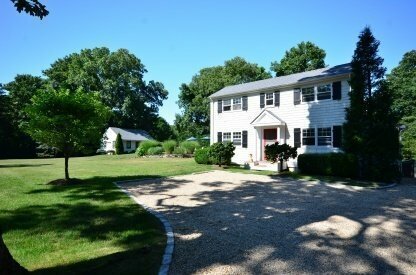 Beautiful Sag Harbor Village compound in a quiet neighborhood. The three-bedroom, two-bath main house features a living room with a fireplace, family room, and a large eat-in kitchen that opens to the pool deck. The property also includes a charming Cottage with one bedroom and bath, which overlooks the pool and spacious grounds.